This series of monthly exhibits showcases the work of artists who draw on Northampton history for theme or inspiration. 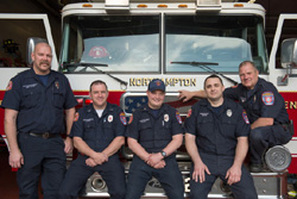 The exhibit series is a collaboration with the Northampton Center for the Arts and A.P.E. Gallery. The Damon Education Center features rotating exhibits from the collection. Historic Northampton hosts a variety of public talks and book events. A Sunday afternoon film screening held once a month in fall and in spring. The Fast Forward Film Series invites a college professor of film, media or communications or an area filmmaker to curate a series of four Sunday afternoon film screenings, each followed by audience Q and A discussion afterwards. Information about fall 2015 coming soon. 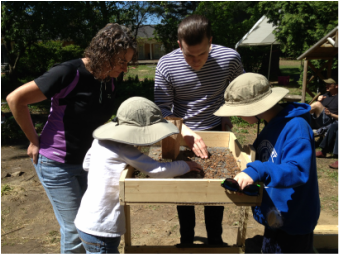 In May and June 2015, Historic Northampton conducted a community archaeological dig at the 1719 Parsons House under the supervision of archaeologist Dr. Linda Ziegenbein. Community participation is made possible by a grant from Mass Humanities and generous donations made through Valley Gives, a project of the Community Foundation for Western Massachusetts. Click here for the link to the Gazette article about the dig (includes a short video). Northampton Timelines is a website with an interactive map. 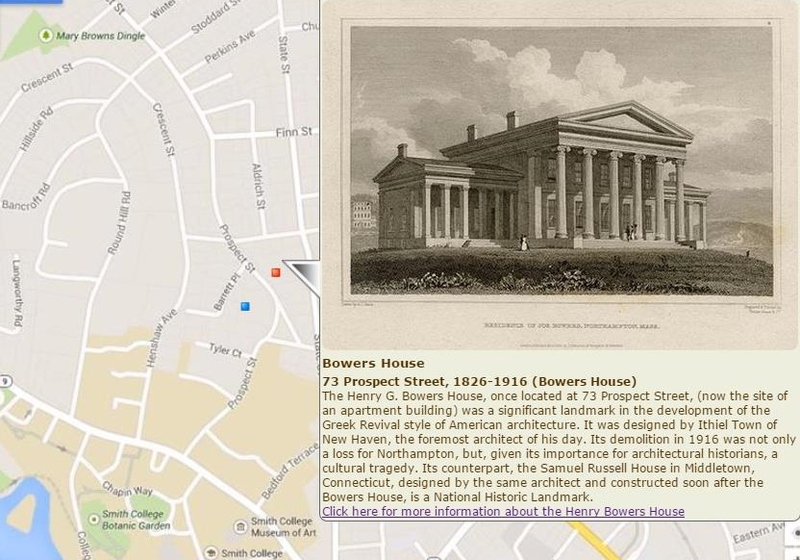 Click on a hotspot and the history of the property pops up - how it was used, what was built there, who owned it over time and what kind of lives they led. This project will build on the contributions of scores of local researchers and historians.